Get ready for Great! 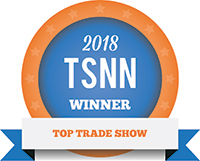 Start planning now for who you want to meet in St. Louis at the School Nutrition Networking Event of the Year—SNA’s 73rd Annual National Conference (ANC), July 14-16, 2019! #ANC19 will officially kick off on Sunday, July 14 on a new three-day schedule that concludes on Tuesday, July 16, requiring less time away from work, so plan now to attend! Did you know St. Louis won five “great places in America”? Or that it has a thriving food scene, with more than 1,000 one-of-a-kind restaurants? Add 140+ city parks, 300+ live music acts weekly, and many free attractions, and you will find that St. Louis is a great place to meet! 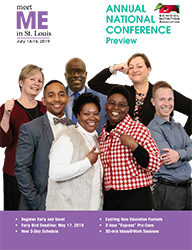 #ANC19 Video: Meet Me in St. Louis! View the ANC preview piece for a sneak peek of this summer's conference!